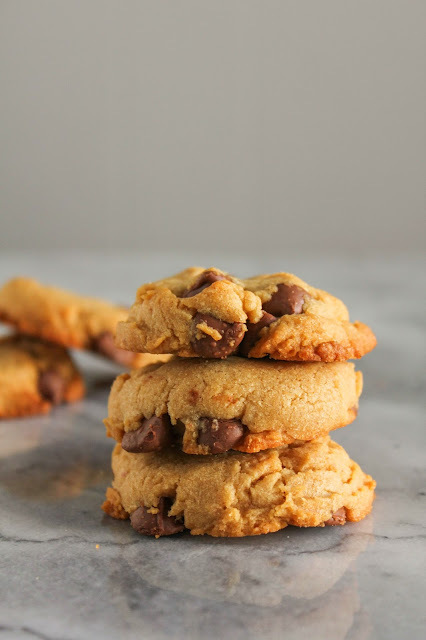 Peanut butter and chocolate are a match made in heaven, and these cookies are here to prove it! 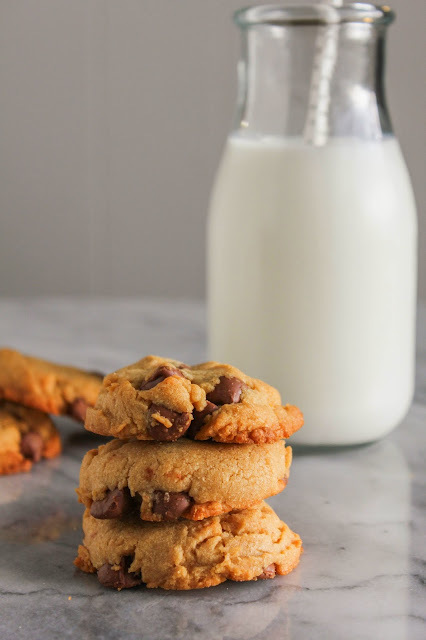 Soft and chewy and loaded with chocolate chips, they make one delicious dessert! I've had cookies on the brain lately. I'm like the cookie monster...me want COOKIE! So I went and developed a new recipe. A recipe containing two of my favorite things...peanut butter and chocolate. I mean, who doesn't love them, right? Especially the combination of the two. Together they are freakin' amazing. This is a very simple recipe. 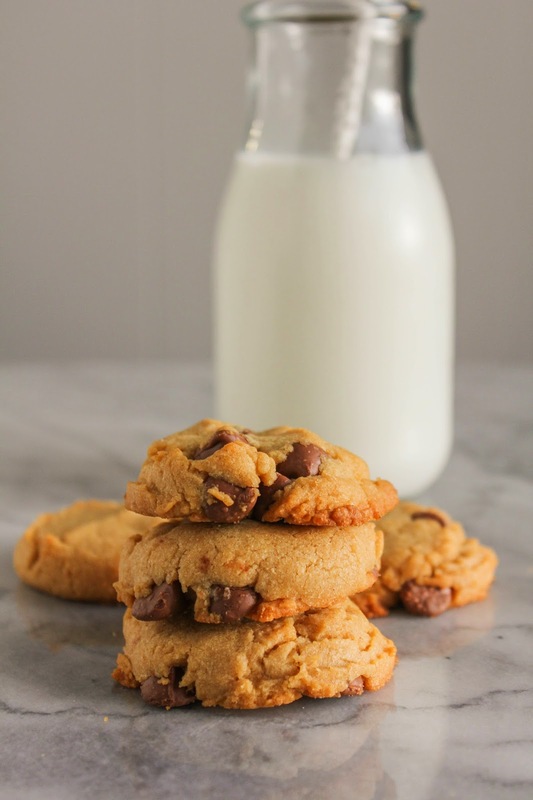 A basic peanut butter cookie recipe with some delicious milk chocolate chips mixed in. I added a lot of peanut butter in there, so the cookies are super peanut buttery. Is that even a word? Soft and chewy, I bet you can't eat just one! Preheat the oven to 350 degrees. Line two baking sheets with parchment paper or a silicone liner and set aside. In a small bowl, whisk together the flour, baking soda and salt. 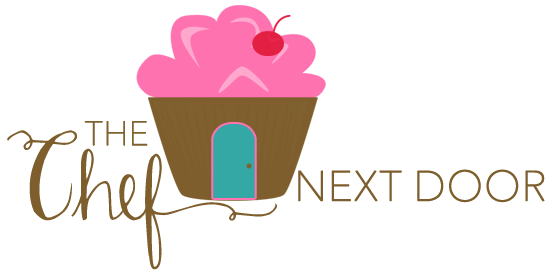 In the bowl of a stand mixer, beat the peanut butter, butter, and sugars until light and fluffy. Add in the eggs, one at a time, then the vanilla, and beat until smooth. With the mixer on low, slowly add the dry ingredients, beating just until combined. Fold in the chocolate chips. Drop the dough by tablespoons, about 1-inch apart, onto the prepared baking sheets. Bake until golden brown, about 15 minutes. Allow the cookies to cool on the sheet for 5 minutes before moving them to a cooling rack to cool completely. Store the cooled cookies in a cookie jar or airtight container.